Diabetes Research Institute, Koelner Platz 1, 80804 Munich, Germany. Removal of dietary gluten is associated with a lower frequency of type 1 diabetes (T1D) in patients with celiac disease. Therefore, we performed a pilot study in which seven islet-antibody-positive first degree relatives of patients with T1D were placed on a gluten-free diet for 12 months, followed by gluten re-exposure for 12 months, to investigate whether this could reduce levels of circulating autoantibodies. We found that islet autoantibody levels at the end of the gluten-free period were not different to those before the commencement of the diet nor to antibody levels at the end of the gluten re-exposure period. In the present study, we have followed the 7 children formerly placed on a gluten-free diet for the manifestation of T1D for up to 5 years (mean follow-up time after fulfilling inclusion criteria: 4.8 years, SE 0.82 years) and compared them to 30 siblings and offspring of patients with T1D with similar characteristics to the intervention group (mean follow-up time: 5 years, SE 0.62 years). 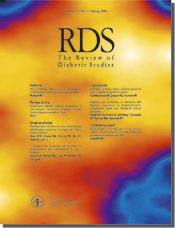 The cumulative 5-year risk of T1D in the intervention group did not differ from that in the prediabetic control group (42.9%, 95 CI (6.3-79.5%) vs. 49.7%, 95 CI (30.9-68.5%), p=0.87, log-rank test). These findings suggest that removing gluten from the diet over a period of one year is effective neither in the short nor in the long term in high-risk prediabetic individuals with a fully activated immune response to different islet antigens close to manifestation of T1D. These and recent data showing that exposure to dietary gluten in offspring of mothers and fathers with T1D very early in life is associated with an increased risk of developing islet antibodies also suggest that removal of dietary gluten should be tested as early as possible in children with an increased risk of islet autoimunity, i.e. before an immune response to islet antigens is established.